Just finished a 3rd jersey today for the Lakehead Invaders. 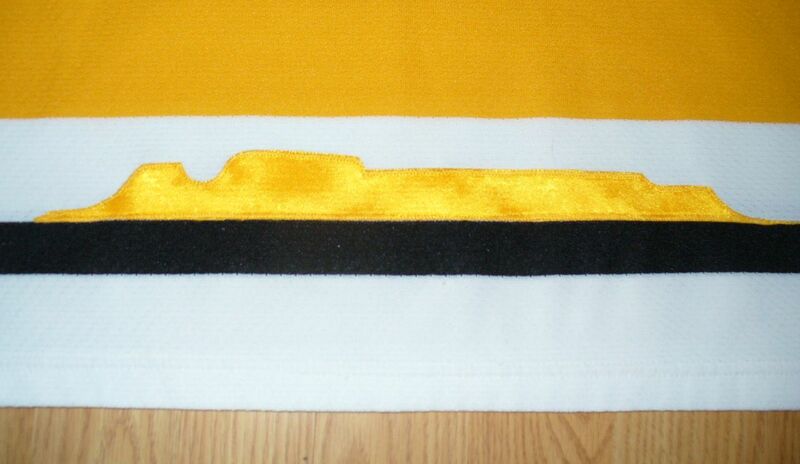 Crest and patches are done - may add a back number in the same style as my white Invaders jersey later. Front crest is one I originally designed for the back of a melton/leather jacket (that I haven't done). The Invader is the same Space Invader as the one ins Ryan Connelly's Pittsburgh Invaders one (can be seen in his blog: Project 840). 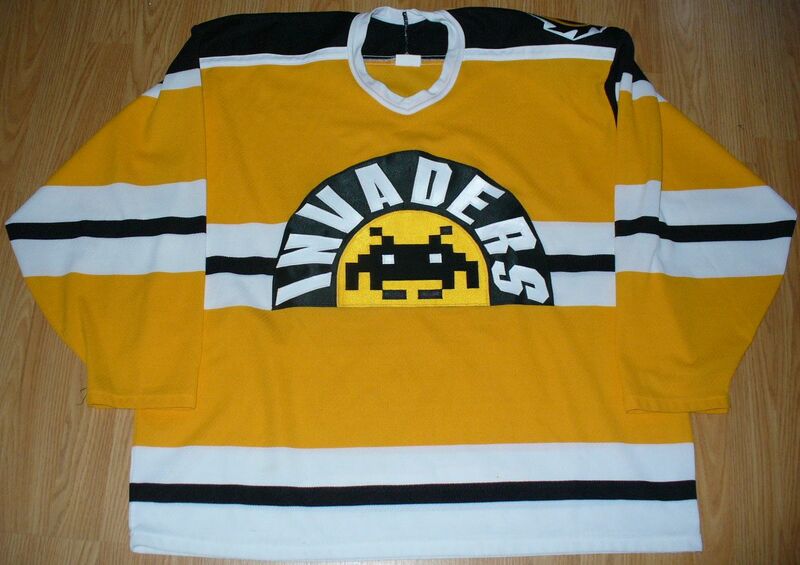 The lettering is the same as his and my previous Invaders jerseys only enlarged and curved over the Invader. 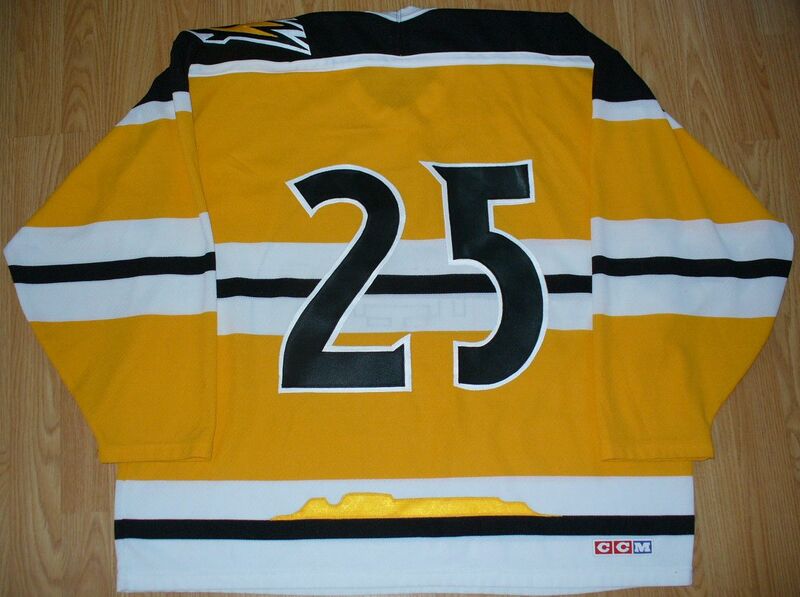 * Edit (January 27/13): added #25 on back in same style as the white Invaders jersey. 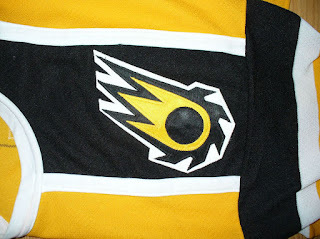 Had a Sleeping Giant left over from cutting out the design from my black Invaders jersey so decided to put it on the bottom back of this jersey. 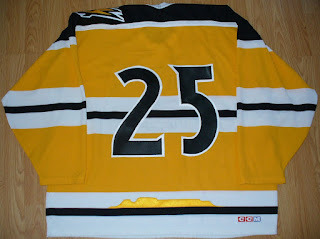 Shoulder crest is the same as the one Ryan used for his 'Red Alert' jersey and his blue jersey just recoloured with white, yellow, and black for this jersey.